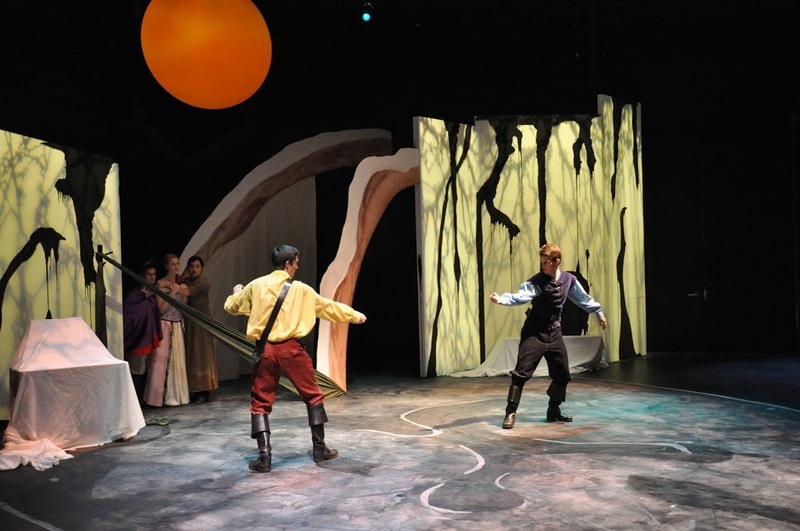 The UCSC Theater Arts Department emphasizes a multi-disciplinarian approach to theater, encouraging exploration and engagement with all aspects of theatrical production, and an education based in both academic and production work. At this time, the Department does not have any official concentrations, with the exception of the Dance Minor. A student majoring or minoring in Theater Arts will receive a Bachelor's degree in the general Theater Arts. Some students do choose to focus their studies towards developing their skills in a particular aspect of theater, utilizing the UCSC Theater Arts curriculum and opportunities. If you are considering such a path for our own undergraduate studies, we encourage you to consult with the Undergraduate Advisor to determine which opportunities are available and when, and to plan out your courses. If you are a director, or a student interested in pursuing directing as a career path, or just within the department, there is a selection of courses and opportunities available to you. The general tract recommended to be followed by directing students in the department is to take the directing sequence of courses, propose and direct for the Chautauqua student play festival, propose and direct for Barnstorm, and then propose to direct for the Department. Students are also encouraged to seek out Assistant Directing opportunities within the Department, as well as directing internships with the professional theater companies in the area. Each of these classes are generally offered once per academic school year, so please plan ahead. Thea 40 is open to all students, but does have limited enrollment space. There are no pre-requisites. Enrollment in Thea 141 is by audition only at the first class meeting. Generally Thea 40 is a pre-requisite. If you have not taken Thea 40, you may appeal to the instructor to be admitted based on demonstrated equivalent experience or education through production work or other courses. Admission to the course is at the discretion of the instructor. For more information and audition requirements, please contact this year's instructor.